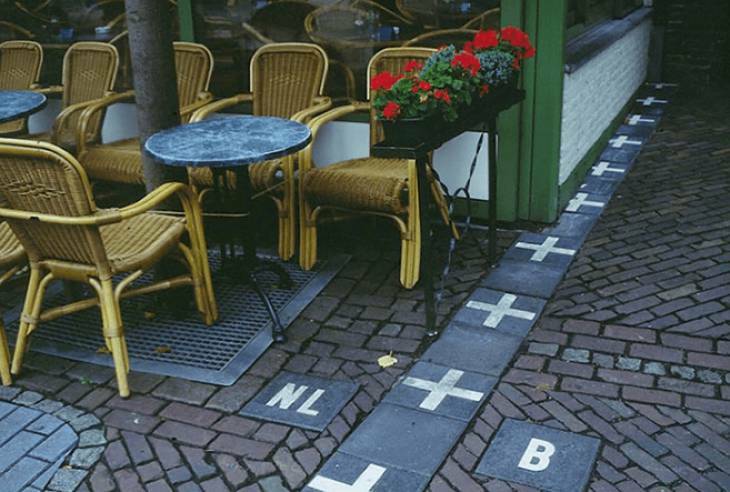 The Netherlands and Belgium border is very simple yet effective. The white stripe of the floor next to this cafe signifies where one country ends and the other starts. We see it everyday on the world map, the lines that separate the borders between countries. However, what does the line actually look like in real? In actual fact, those lines are more often than not noticeable in reality and only sometimes separated by border patrols or some barrier. However, some of those borders are a bit more picturesque and jaw-dropping in appearance. Here is a collection of some of the most incredible images of International borders between neighbouring countries.